CBG: How did you first get into beer? 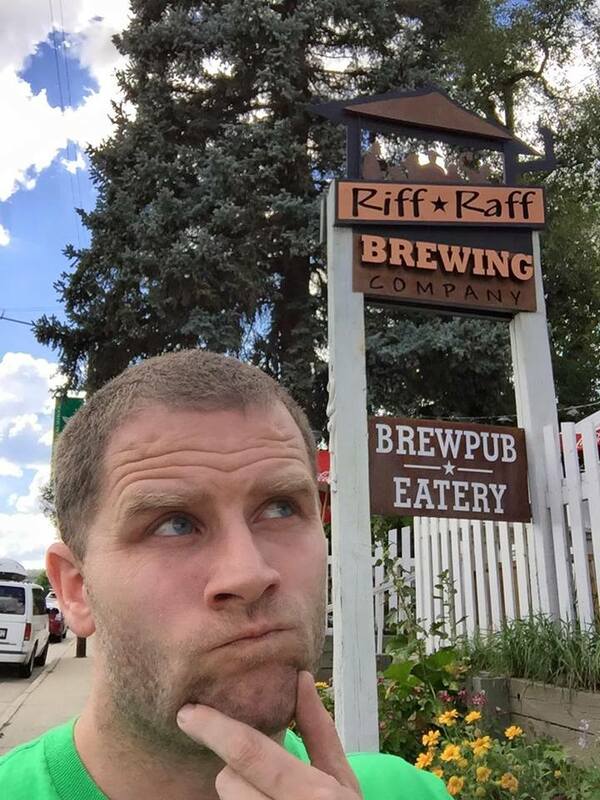 Kevin: I first really started enjoying beer when I transferred to CSU in Fort Collins. My roommates go-to beer then was Fat Tire and 90 Shilling so it was a good town to start with and I found flavorful beer much more enjoyable and delicious than liquor. This was in the late 90’s though so there were not too many breweries there at that time (Spent most of the time going to CooperSmith’s Pub & Brewing for the pool tables). CBG: How did you first decide to embark on this journey to visit every brewery in Colorado? I spent several years early on in my career traveling to Buellton, CA and Cocoa Beach FL. It was at those locations that I found Firestone Walker Brewing Co., Figueroa Mountain Brewing, and Cocoa Beach Brewing Company companies and really truly learned to appreciate the joy of visiting the tasting rooms of breweries and the vast variety of beers available. I started out small in Colorado checking out places in and around the South end of Denver spending much of my time at Lone Tree Brewing Company after work. Then a few breweries sprinkled here and there until I ended up with an odd goal of visiting every brewery in Colorado Springs. It’s a fairly short drive from where I live but didn’t take too long to complete as they are still building their portfolio. After that my appetite for visiting microbreweries expanded but I still knew that there were so many breweries to visit and I didn’t know where to start and didn’t really have an expectation of reaching the end as soon as I did. I ended up joining the Facebook group Colorado Let’s Talk Craft Beer and finding out about events and openings and discovered the Colorado Beer Geek. 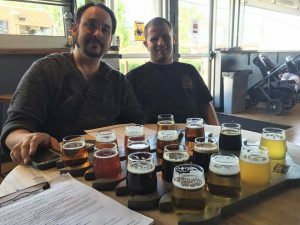 I was able to use the data collected by the Colorado Beer Geek and displayed on the website to see where I had been and had not been and it ended up giving me focus. Earlier this year I was challenged by a friend to complete this journey in 2016. I said no and didn’t think it would happen as I had well over a hundred left and many more breweries were slated to open this year alone but the suggestion stayed with me and tasks are easier to accomplish with goals. CBG: What are some of the more memorable aspects of your quest? I was born and raised in Colorado and spent my whole life living in and around the Front Range from Fort Collins down to Colorado Springs. My family didn’t ski and with the exception of camping trips I took growing up didn’t ever take the chance to visit much of the Western slope so it’s been very cool to get out and tour Colorado even though most of it is just driving but still it was a vast wilderness I had never had the chance to enjoy. I really felt part of something when I visit breweries where I am able to actually sit and chat with the people actually involved in them. 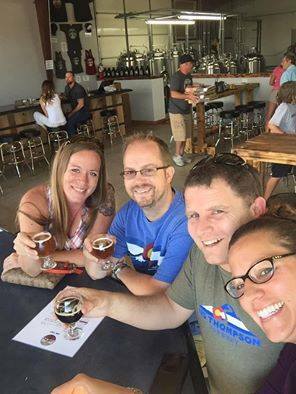 I’ve met so many great people with much the same passion that I have and it has been a really cool direction that my life has gone in since 3 years ago when I really started visiting the Colorado breweries. The friends I’ve made will hopefully last a long time and it’s given me the opportunity to even brew a 100 gallon batch of Imperial stout at a brewery (Thank you Mu Brewery) as well as participate in some pretty awesome bottle shares, blind tastings and other shenanigans. My tastes are not as particular as others I have met but here is my top list in Alphabetical Order. It’s a tough list to make as there are so many good places here to go and grab a beer. In general you are more likely to find good beer or at least one you at enjoy in a randomly selected brewery than you are of absolutely finding nothing redeeming about it. 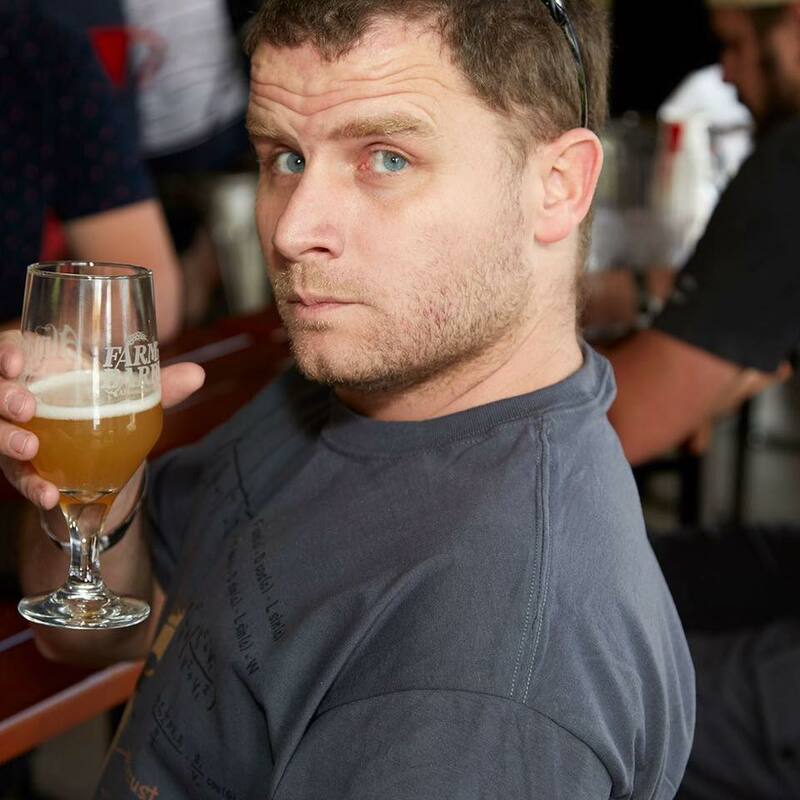 The folks in the industry are good-hearted people who care about and love what they do and are very passionate about it so if you find a brewery you don’t like then give them another shot in a year. Animas Brewing Company, Cerebral Brewing, Fossil Craft Beer Company, Great Storm Brewing, Jessup Farm Barrel House, Mockery Brewing, Periodic Brewing, Old Colorado Brewing Company, Spangalang Brewery, Smiling Toad Brewery, Storybook Brewing, Southern Sun Pub & Brewery, Ursula Brewery, Wild Woods Brewery, & Wiley Roots Brewing Company. I could keep adding to the list but I think I’ll stop there. CBG: What are you favorite tap rooms in terms of aesthetics? Pagosa Brewing Company in Pagosa springs is a fantastic location just a few hundred yards off the highway yet surrounded by forest. Ouray Brewery has great food, two floors, a patio with mountain views and seats at the bar that are actually swings built from old gondola parts. Bristol Brewing Company is in a 100+ year old school house, The Pumphouse Brewery and Station 26 Brewing Co. are in fire stations, Avalanche Brewing Co. and Revolution Brewing are both in old houses (though the Revolution house spent most of its pre-brewery days as a church). The old grain silo used by Old Colorado Brewing Company is quite the sight and Halfpenny Brewing Company has a nice old English pub feel that I really enjoy. 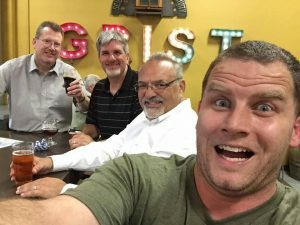 CBG: What are some of your favorite destination breweries? Perhaps ones that people might not have heard of? JAKs Brewing Company is small location that seems to act as a community gathering spot; I seemed to be the only stranger when I went. Dolores River Brewery is about as far from home as I could find but not far at all from any trip to Durango. Any time I’m out in Eastern Colorado Springs I always go to Rocky Mountain Brewery. CBG: What is your advice to others who may embark on a similar quest? Enjoy it and don’t get discouraged as breweries open in faraway locations you visited along the way. Especially on long trips make sure you know when the breweries are open as some Western slope breweries especially have limited hours and can really cut down on the available hours you have to visit breweries before each day is done. 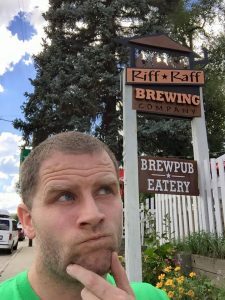 With a DD and a game plan in the Front range you can easily visit 7 or more breweries operating at a somewhat aggressive pace but that’s not the case when a lot of your breweries are hours apart and could require a lot of waiting in construction zones. CBG: What is your go-to brewery on a day-to-day basis? As my trek to see all the breweries has taken me farther and farther away from home I’ve really not come up with what it will be. I expect something on the south end of town like Living The Dream Brewing Co., Grist Brewing Company, Lone Tree Brewing Company, 105 West Brewing Company, Halfpenny Brewing Company or Resolute Brewing Company. So, who will be the next Colorado Beer Geek to take on this quest?